Works with the leadership of the tribal council to develop a vision. Develops opportunities for participation of the tribal members. Facilitates participation from all levels and integrates information into planning. Prepares surveys to gather member input. Identifies cultural values and integrates those values with natural resource planning. Develops newsletters and other communications to educate tribal members about ongoing planning. 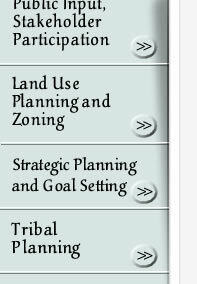 Works with tribal staff and integrates existing plans as appropriate. Utilizes Integrated Natural Resource Planning guidelines as appropriate. 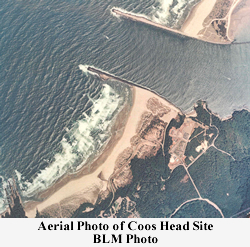 Shoji Planning has provided facilitation and planning for the Confederated Tribes of Coos, Lower Umpqua and Siuslaw Indians, the Coquille Tribal Government, and the Coquille Economic Development Corporation (CEDCO).